ADM Animal Nutrition, a division of Archer Daniels Midland Company, is helping U.S. dairy producers alleviate the effects of heat stress on dairy cows with a nutritional supplement, Thermal Care‚Ñ¢ R, resulting in positive milk production responses. 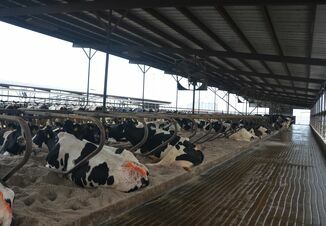 A study recently conducted by ADM Animal Nutrition at a commercial dairy farm in Tulare, California and previous research at the University of Georgia and Arizona State University and field demonstration at New Windsor, Maryland, conclude Thermal Care R is an effective and economical solution for overcoming heat stress. "Dairy cattle are healthiest and perform best in a 40¬∞ to 70¬∞F climate," said Dr. Lance Baumgard, professor of animal science at Iowa State University and former Thermal Care R researcher at Arizona State University. "Temperatures above 70¬∞F can affect a cow's ability to dissipate heat; suppressing their immune system, decreasing feed intake by up to 30 percent, and reducing milk production by as much as 20 percent." 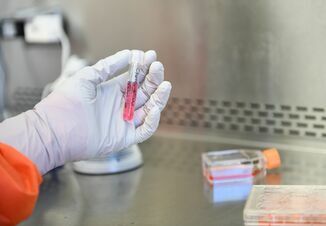 "The proprietary blend of components in Thermal Care R work together to combat the effects of heat stress by facilitating heat dissipation, enhancing feed intake, and supporting gut health and gut immune function," said Dr. Don Jaquette, dairy nutritionist at ADM. "When paired with a proper diet and management, Thermal Care R helps cows keep cool and be more comfortable and productive through the summer heat season." 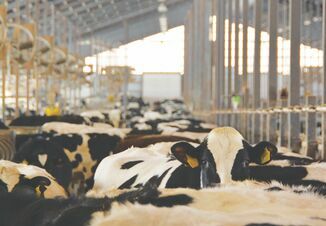 "The last thing any dairy producer wants to see is a herd being stressed by heat and humidity," said Matt Hoff, owner and operator of the Carroll Country Family Farm in New Windsor, Maryland. "During the hottest days of June and July cows that were fed Thermal Care R outperformed those without by 3-4 pounds/head/day of milk. We were extremely pleased with the results." ADM Animal Nutrition will be hosting a live webinar to discuss the research and benefits of Thermal Care R on Tuesday, May 10 at 10 a.m. CST. Email ThermalCareRWebinar@stephanbrady.com to register. For more information on Thermal Care R, contact ADM Animal Nutrition at 800-775-3295, ANI.SpecialtyIngredients@adm.com, or visit www.adm.com/SpecialtyIngredients.